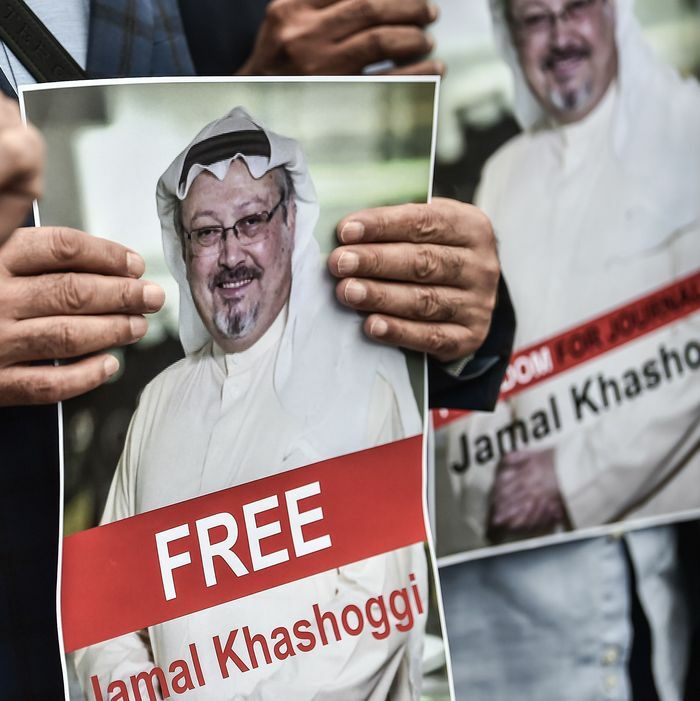 A week after the disappearance of Saudi dissident journalist Jamal Khashoggi, details about what happened to him at the Saudi consulate are beginning to emerge, along with indications that the U.S. had information of a Saudi plot against him. The Saudis wanted to lure Khashoggi back to Saudi Arabia and lay hands on him there, this person said. It was not clear whether the Saudis intended to arrest and interrogate Khashoggi or to kill him, or if the United States warned Khashoggi that he was a target, this person said. The Saudi regime denies this. They say Khashoggi left the Saudi consulate in Istanbul, where he was attempting to finalize his divorce, shortly after he arrived. But they’ve yet to provide proof and Turkish officials continue offering details about the alleged assassination. Both the Times and the Post are reporting that a group of 15 men, including an “autopsy expert, presumably there to help dismember the body,” arrived from Riyadh on the morning Khashoggi disappeared and left Istanbul later that afternoon. There are also reports that Turkish intelligence is in possession of a video showing Khashoggi’s murder.